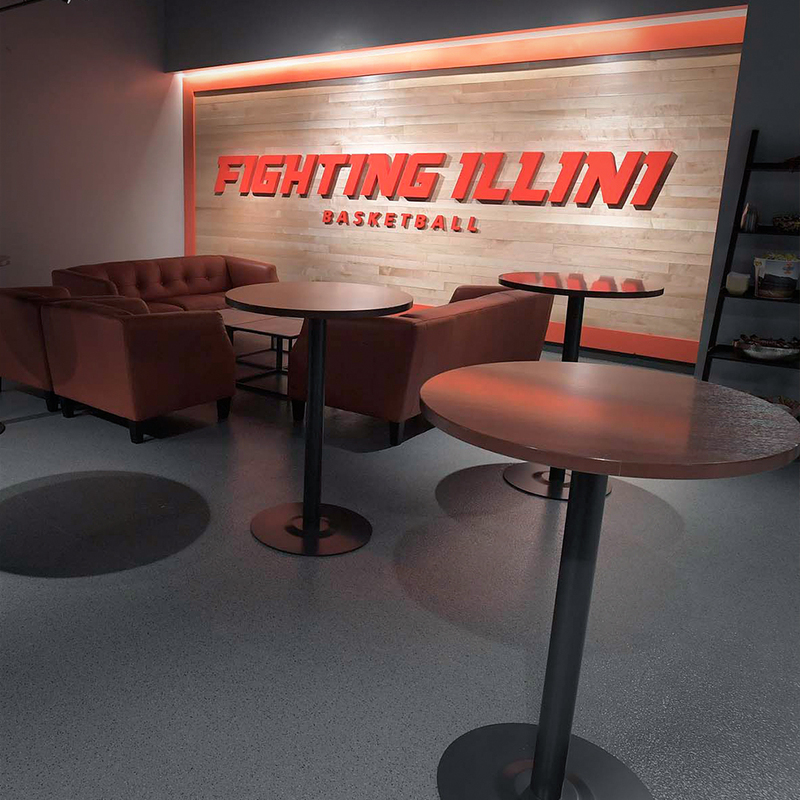 Fans can take advantage of the once-in-a-lifetime opportunity of courtside seating for Fighting Illini games experience action unlike ever before. 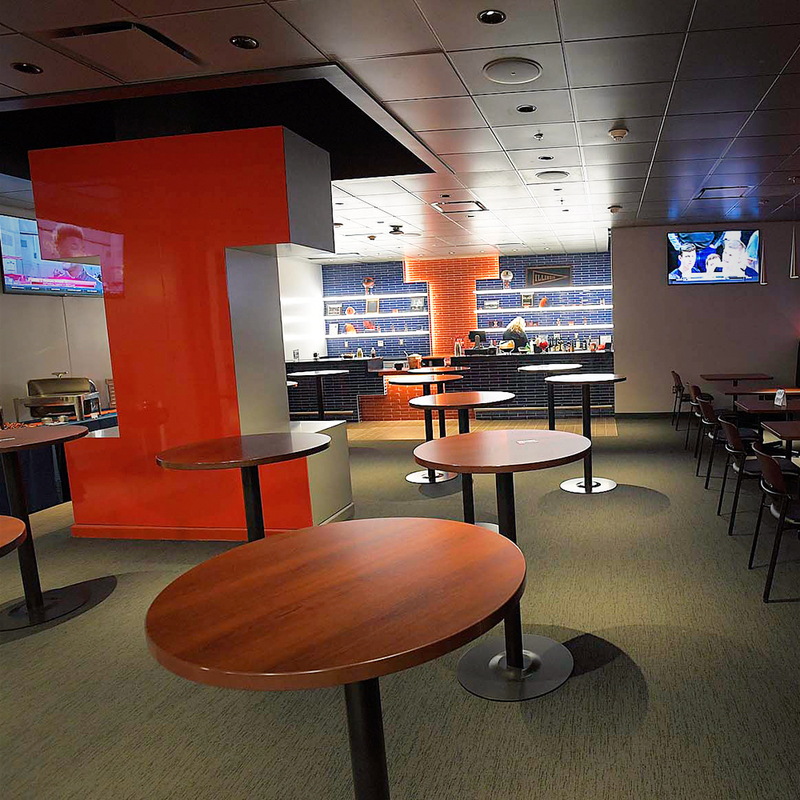 The renovated State Farm Center features seats hugging the sideline of the court and allows you to experience sights and sounds of the game available only to courtside seating. Seat holders also have exclusive access to Club 53. This lounge is located on the floor level, behind the scenes from the bowl, and is a favorite for courtside seatholders to gather before and after the game and during breaks in the action. 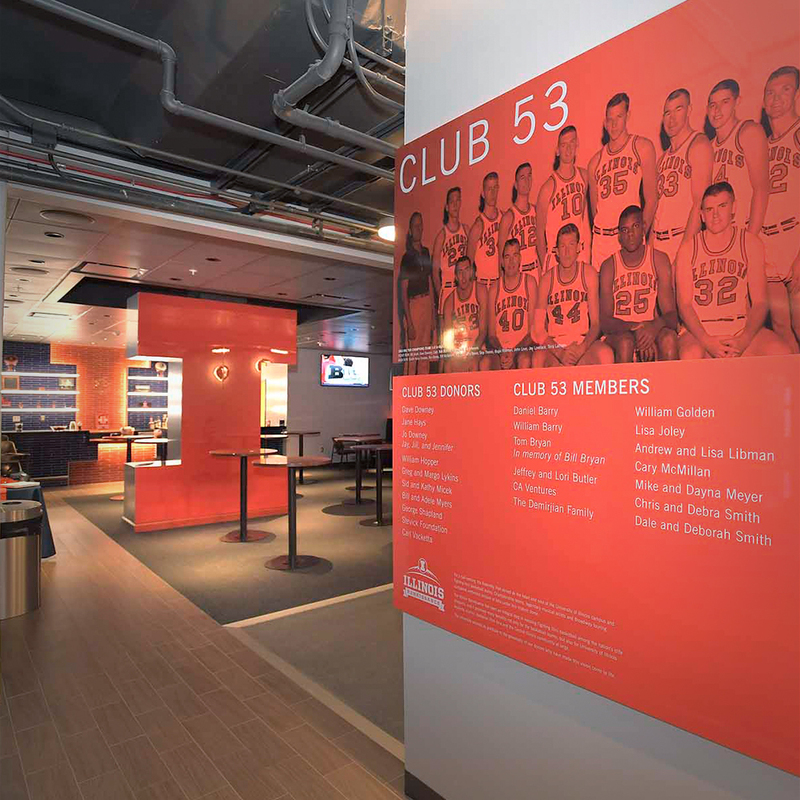 The club area is near the tunnel entrances to the floor, giving patrons the opportunity to watch the Fighting Illini as they prepare to run onto the court. ** * Prices reflect annual commitments due each year by June 1. After establishing a campaign gift commitment, the first annual lease payment is due June 1. Prices will increase every commitment year by 2.5%. Discounts for prepayment of entire contract term are available. An annual I FUND commitment is required of all Club 53 patrons for the life of their contract. By maintaining an I FUND account, Club 53 patrons will have the opportunity to purchase special single-game tickets and receive an I FUND season parking pass. Single-game tickets and the I FUND parking pass are allocated based on I FUND club level and priority point totals. The minimum required I FUND membership for Club 53 is the Block I (Orange) or Olympian (Blue) level.